From the moment she welcomes us to the theatre, performer and writer Julia Hales has us in the palm of her hand. This is the encore season of her work You Know We Belong Together, created with director Clare Watson and writer and associate director Finn O’Branagáin. 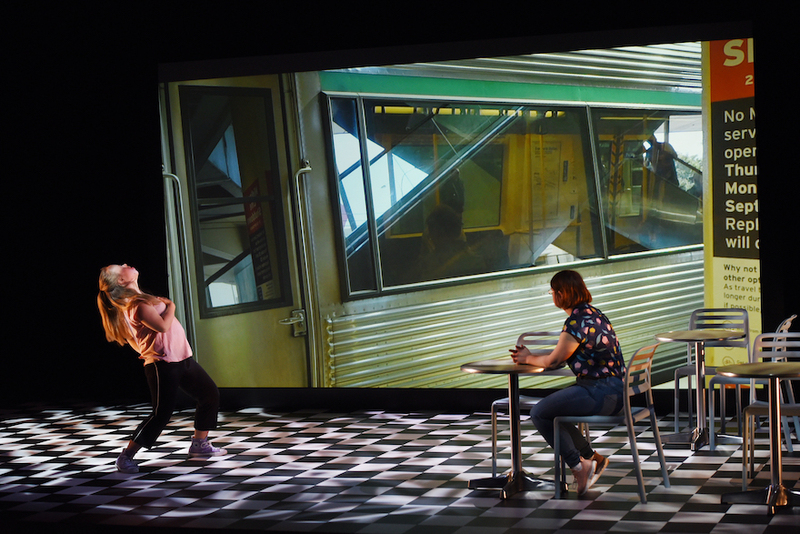 A co-production by Black Swan State Theatre Company, Perth Festival and Dadaa, You Know We Belong Together had its first outing at last year’s Perth Festival. In recognition, no doubt, of the success of the 2018 iteration, the show has moved upstairs into the Heath Ledger Theatre in 2019, with a run three times the length of the original. Described in the programme as a “live documentary”, You Know We Belong Together is based around a series of vignettes comprised of monologues, filmed interviews, sketches and chats. With Hales at it centre, the work is driven by her dreams: to find love, and to be on the long-running television show Home and Away. 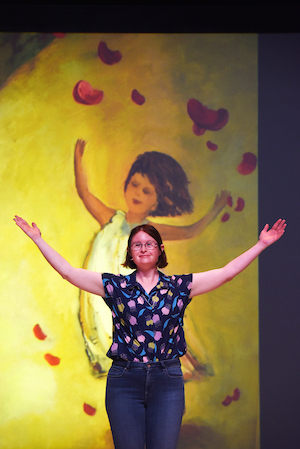 “When I dance I feel like myself”: Lauren Marchbank dances as Julia Hales looks on. Photo: Toni Wilkinson. But there’s more to this show than personal aspirations. 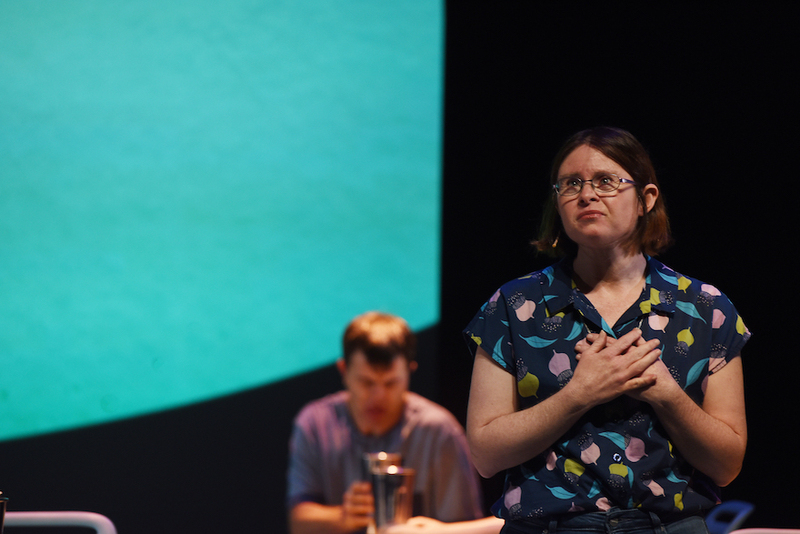 You Know We Belong Together is a passionate call for inclusivity for people with disability, in particular on stage and screen. A woman with Down syndrome, Hales gives us an insight into her life and the lives of some of her friends with Down syndrome. We meet dancer Lauren Marchbank, who moves with loose-limbed release; Joshua Bott, whose dance-style is all about funk; Tina Fielding, a performer and palm-reader who’s always up for a laugh; the gentle Patrick Carter, whose talents lie in both performing and visual arts; and Mark and Melissa Junor, who met at a dance class and have been happily married for almost 19 years. Julia Hales. Photo: Toni Wilkinson. And then there’s Hales, who manages the show with warmth, humour and sensitivity, whether interviewing her friends about love or taking us on a guided tour of her life. Though she keeps us giggling with her references to Summer Bay and its residents (cleverly supported by Tyler Hill’s set design), she doesn’t shy away from the hard stuff. We learn of her struggles, as a young adult, to come to terms with the fact that she is a person with Down syndrome, and her ongoing grief for her late mother. It’s honest, poignant and, most importantly, relatable. And so when she asks why we don’t see people with Down syndrome on shows like Home and Away, the injustice of this absence is striking. Why, indeed? Together with the creative team and cast, Hales, O’Branagáin and Watson have brought to the stage an engaging work that quietly but firmly lets us know, it’s time for change. It’s a message everyone should hear. You Know We Belong Together runs until March 31. Pictured top are Julia Hales and Joshua Bott. Photo: Toni Wilkinson. Julia Hales manages the show with warmth, humour and sensitivity. Photo: Toni Wilkinson.